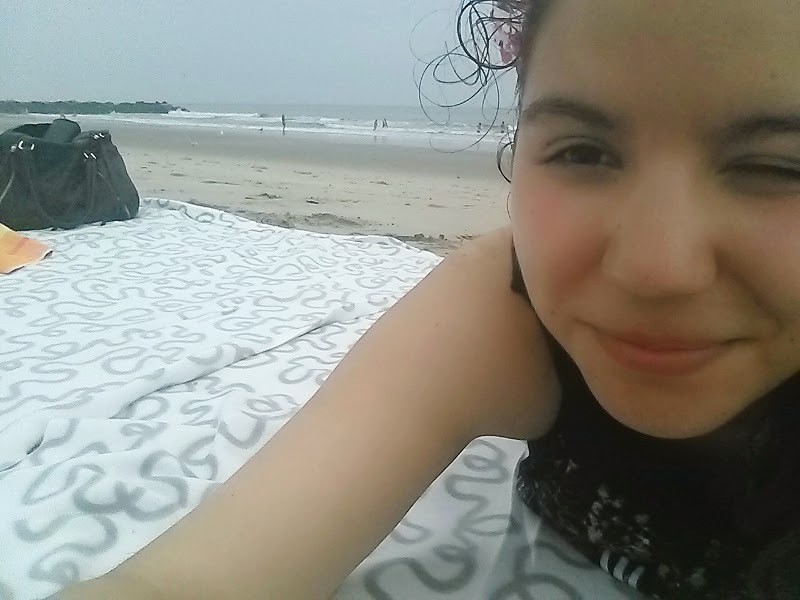 Love Your Ego: New York Adventure: Goodbye Big Apple, Hello Rockaway! New York Adventure: Goodbye Big Apple, Hello Rockaway! Hi Egos, I'm back with another update. We've had some crazy experiences in New York and I think we've seen a lot of it. We did this whole tourist-thing that is fun and helps you get to know New York but is also exhausting after almost two weeks. After saying our goodbyes we packed our things and went off to our next destination that shall be more relaxing. That's right we're currently at Rockaway Beach which is a cool destination for surfers and beach lovers. I wasn't sure how lucky we'd be regarding the weather. As usual it was supposed to rain and storm just when we wanted to relax at the beach. But so far we were pretty lucky. We spent a nice day at the water, even going in a couple of times and guess what? I got a pretty bad sunburn in the end :-D Try sleeping when your every move reminds you of all the places your body is hurting. ... while watching the waves. New York Adventure: The Foodporn Edition! New York Adventure: We're Here!